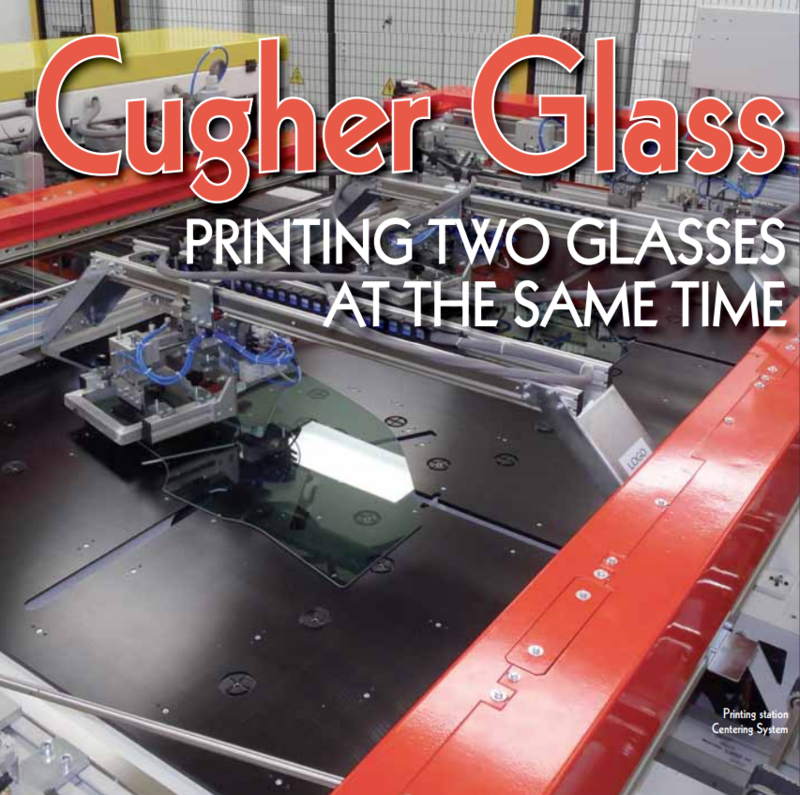 Being specialized is always a benefit in the glass sector, and the company in this article – Cugher Glass – is just that. 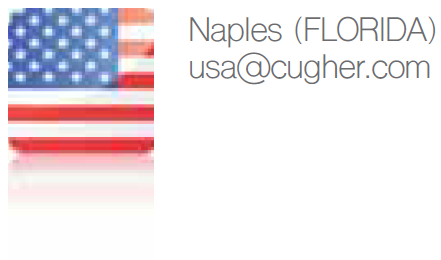 Founded over 50 years ago, it’s product line was and is silk screen printing machines. 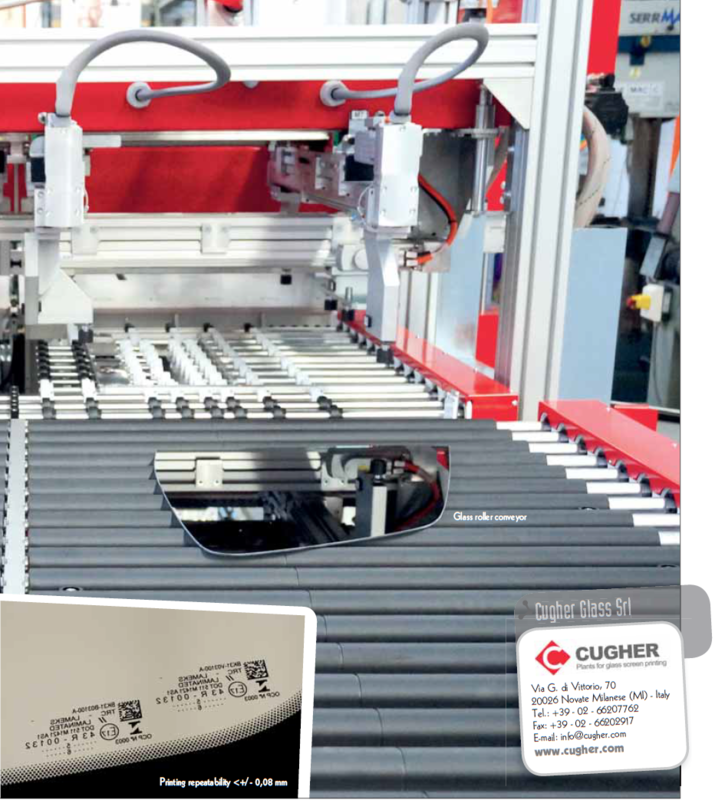 This article shows our readers how far the company has come, presenting the machine for double glass printing, the G series special edition DLE. print precision. The glass transportation is performed by a shuttle with two independent cross shaped holders, centring is made out of the printing table. 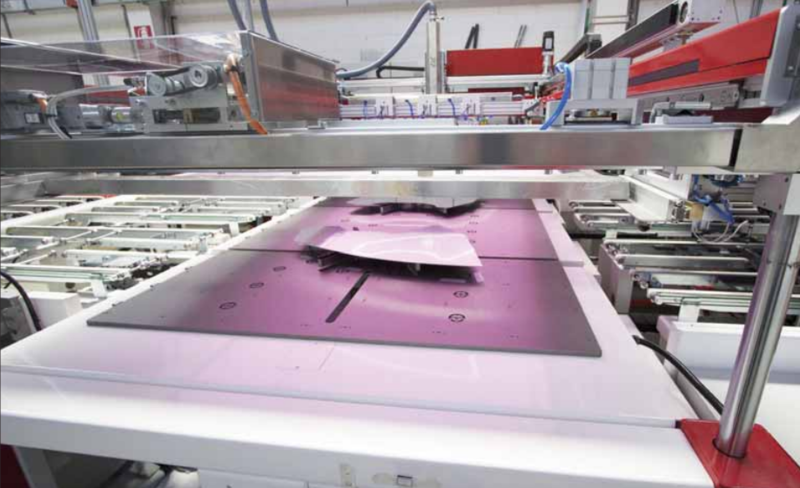 This solution enables to reach the maximum speed of the printing process for glasses with small and medium dimensions. The system consists of one cross shaped holder with a vacuum cups system. 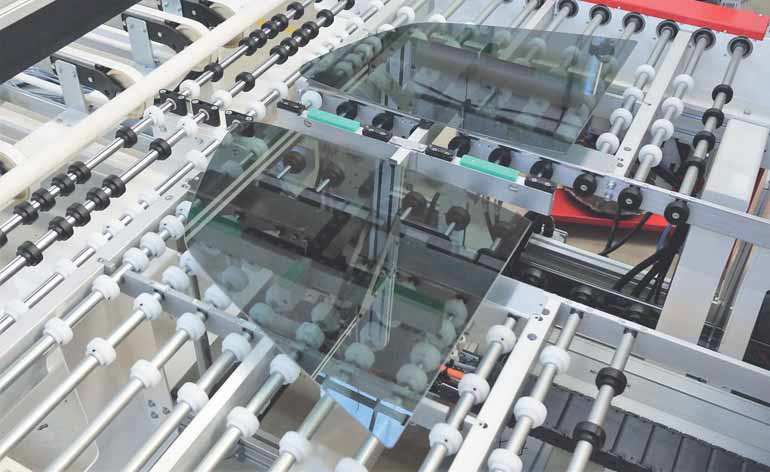 The glass is collected by the walking beam while it is still in the centring device of the inlet conveyor; thanks to this operation it is possible to transport the glass with great accuracy. 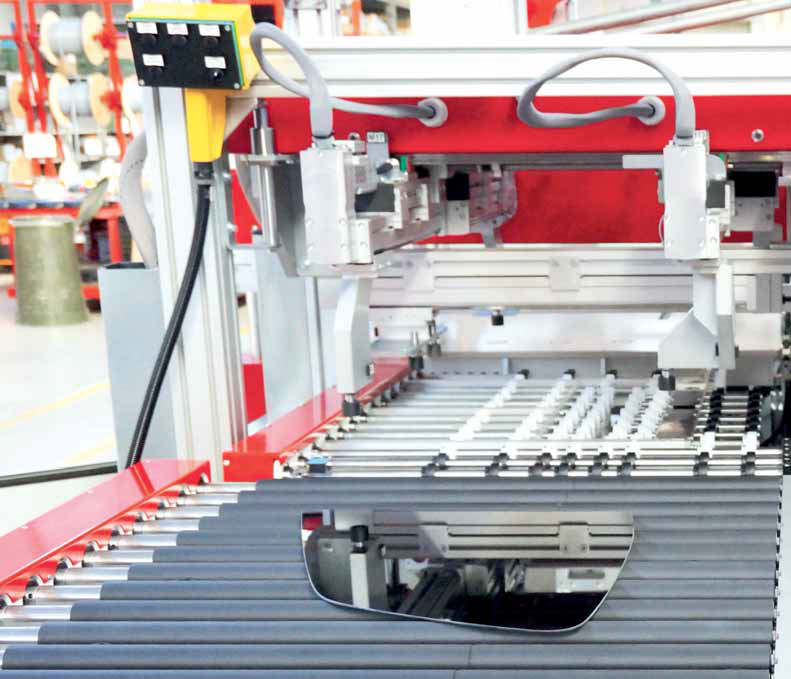 No further glass registrations are necessary before the printing process. with a faster ROI. The machine is made up of an entry/squaring conveyor, a printing body and an exit synchronized conveyor. The purpose of the pre-centring conveyor is to perform the correct alignment of the two glasses before they are moved to the centring device. even with the two glasses. Since the position of the pins will be then stored in a recipe system, the operator will simply recall the recipe and the pins will position themselves automatically. 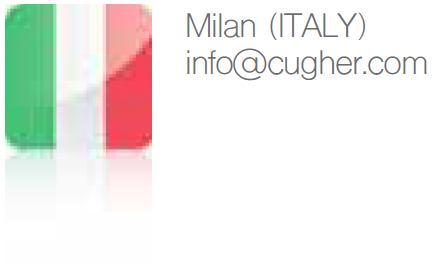 Easy to use and ergonomic, it is equipped with dimensional auto-learning functions controlled by the operator panel. centring system to the printing table. 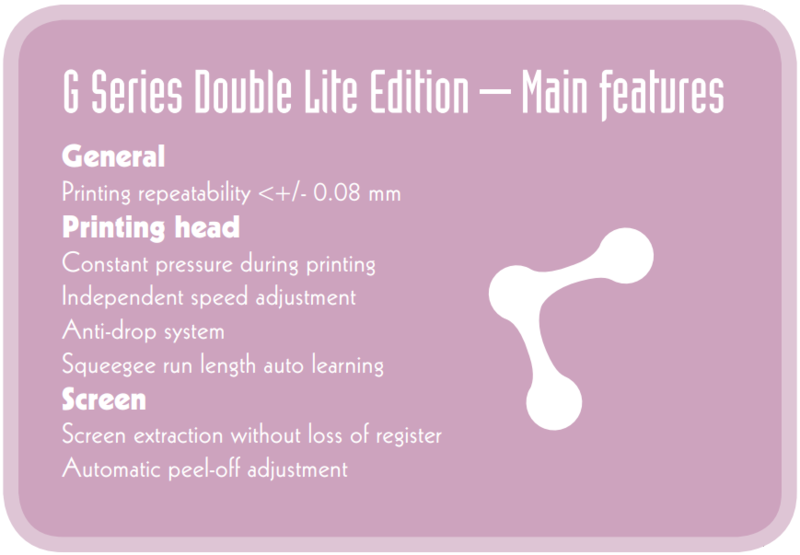 The whole DLE silk screen printing line has been consequently projected and designed to handle both single- and double glasses, giving the opportunity to have an extremely flexible production and reducing costs. The DLE is available for different glass sizes, from vents size up to windshields.